In 2010 Diane Ibbotson loaned Here I Am to the University art collection, allowing us the opportunity to display the work alongside her earlier portrait Self Portrait in Best Dress, painted almost thirty years earlier. In 2015 Diane kindly gifted the work to the collection. 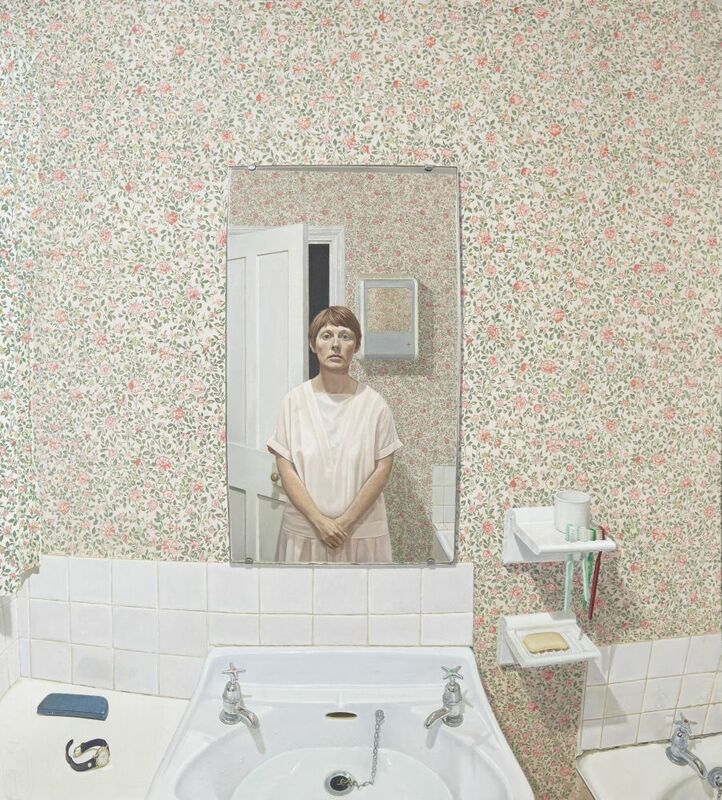 This painting shows the reflection of the artist, looking in the bathroom mirror. Like the earlier portrait, the artist explores the illusion of space in painting. In effect, the viewer is standing where the artist must be to see her reflection, but the space behind us is not that in the painting.